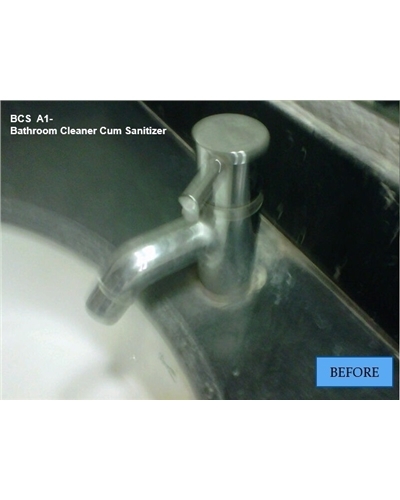 BCS-A1 is a ready formulation for cleaning and sanitizing surfaces in the bathroom, sinks, floor and tiles. It has a pleasant fragrance and is free from bleaches. 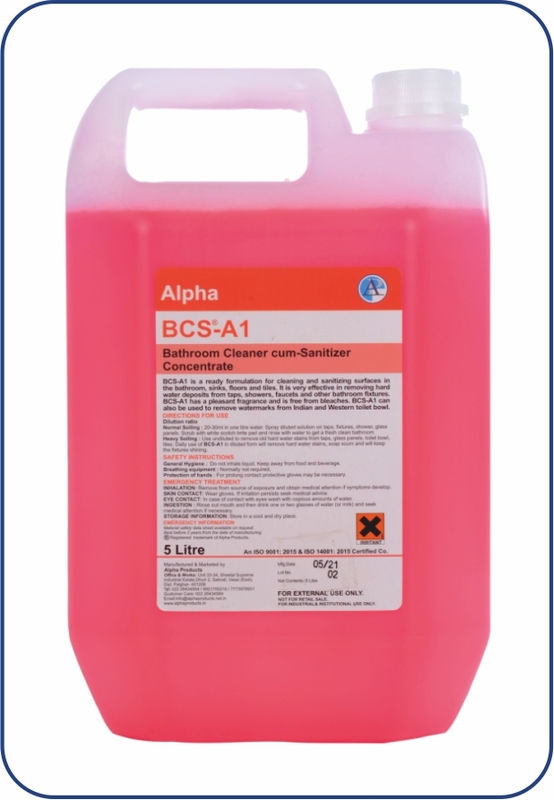 BCS-A1 can be used on hard floors and granite to removes soap scum and hard water stains from taps, tiles, shower and toilet bowl. 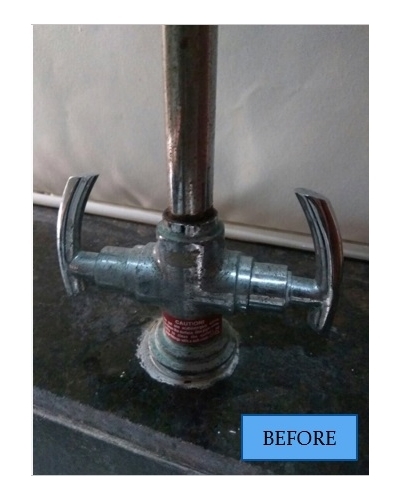 using spray and wipe method. For stubborn stains use undiluted. Keep for 5-10 minutes. 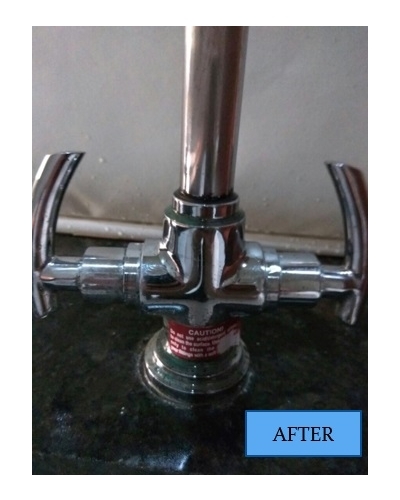 Scrub and rinse with water.